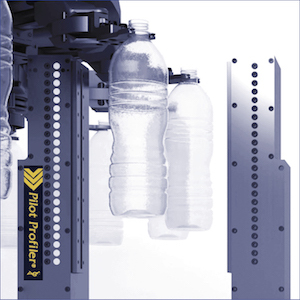 The Pilot Profiler® in-the-blowmolder material distribution measurement system offers real-time measurement feedback for PET containers, at the point of production, on every container produced. This system provides the high accuracy material distribution data that is essential for the light weighting, quality management and process control functions in today’s high speed blowmolding operations. 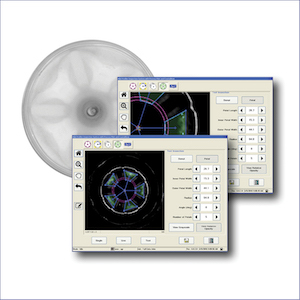 It is compatible with all major brands of rotary blowmolders. 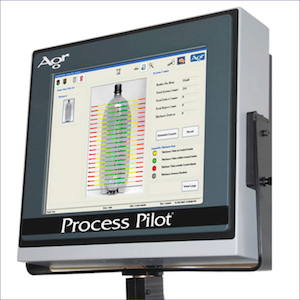 The Pilot Profiler system features a compact non-contact measurement unit that is positioned within the blowmolder to measure bottles as they exit the mold. 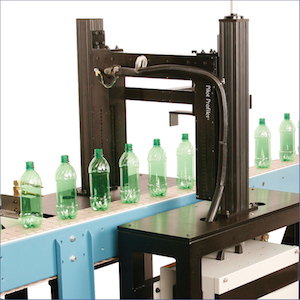 This system can be fitted with up to 32 sensors to produce a comprehensive thickness profile over the entire sidewall of a container.